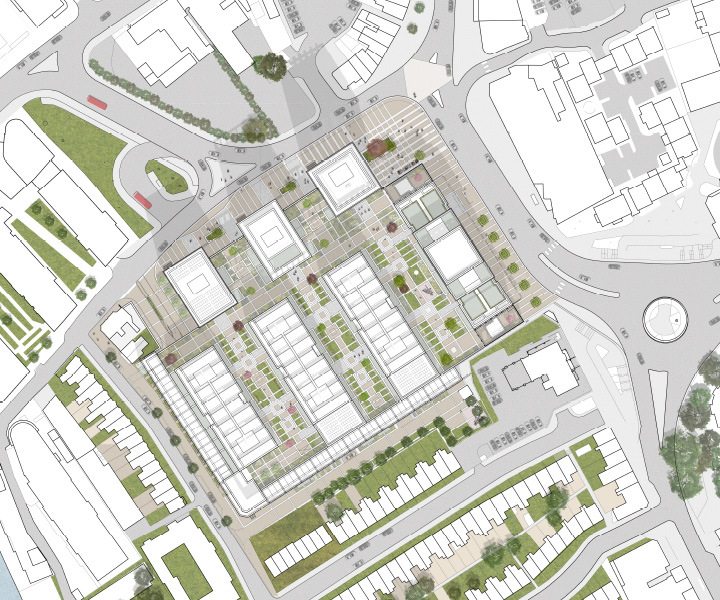 Our proposals for this key site in Ilford’s Town Centre, seek to regenerate an existing supermarket and its car park into a major mixed use development set within a revitalised public realm. 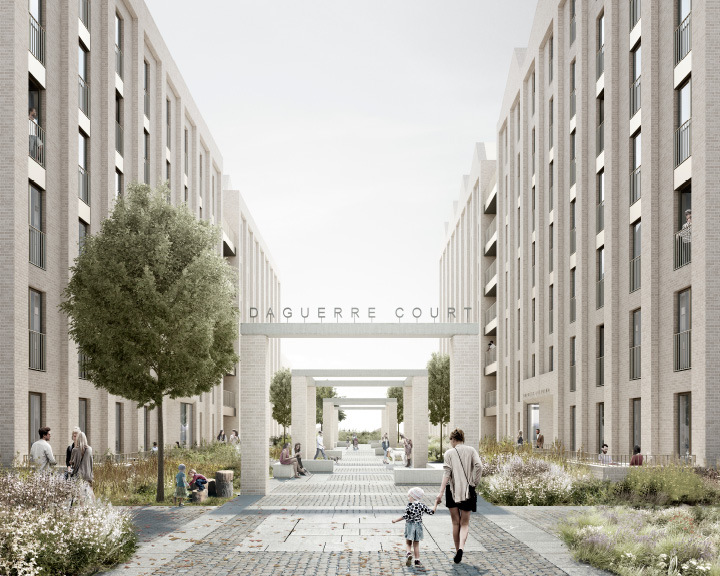 The scheme comprises a new supermarket, cafes, restaurants, employment space and over 680 mixed tenure homes, arranged over ten different buildings and two new rows of terraced housing, to form a backdrop to a series of public and private landscaped squares and gardens. 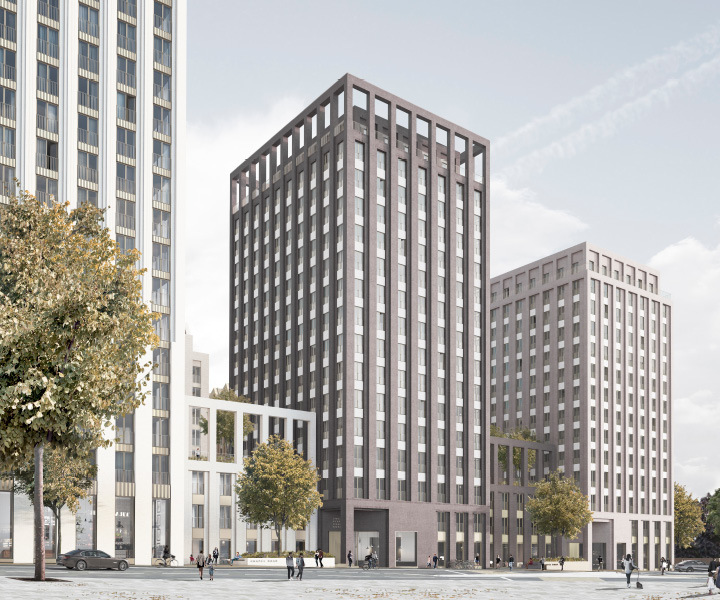 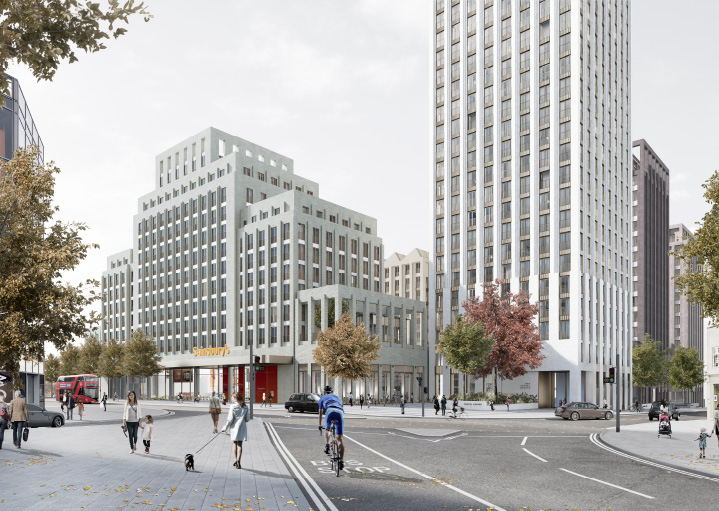 The proposals draw from the former grandeur of Ilford’s past and the rich history of the site, which from 1880 to 1976 was once the home of the prestigious Ilford Limited Photographic Company. 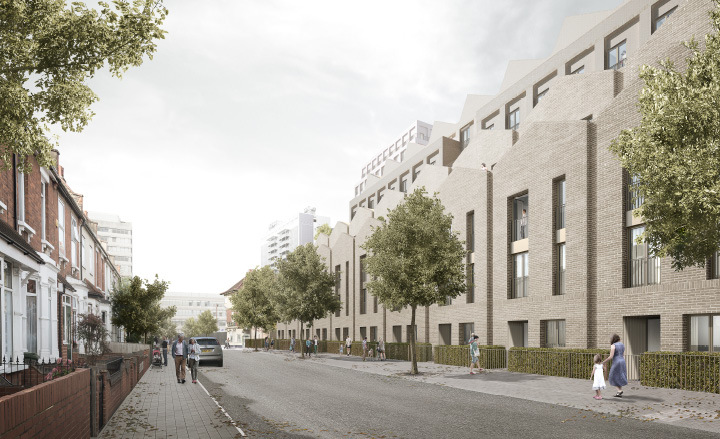 The buildings vary in scale and form to mediate between the existing context of taller buildings to the north-east of the site down to the smaller scale of the residential hinterland to the southwest. 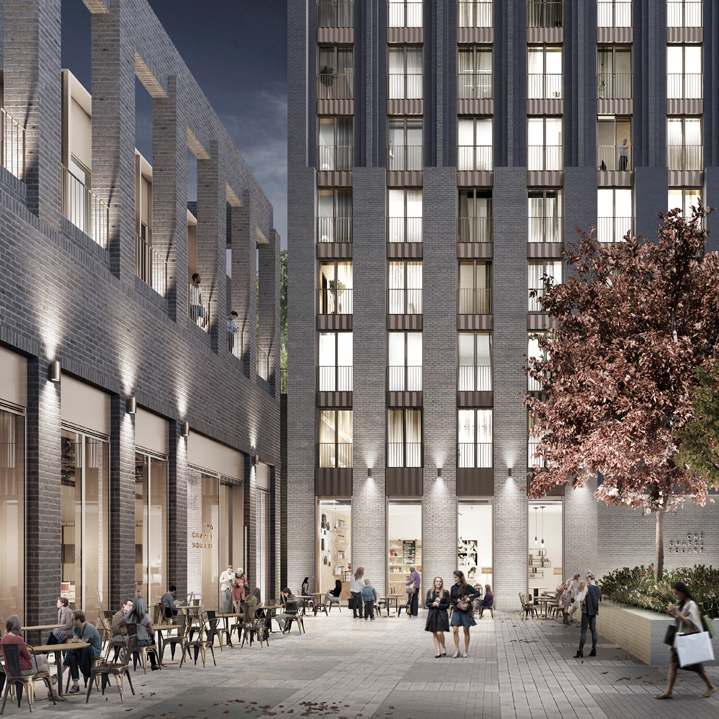 A view of the distinctive ‘Landmark Building’ signage. 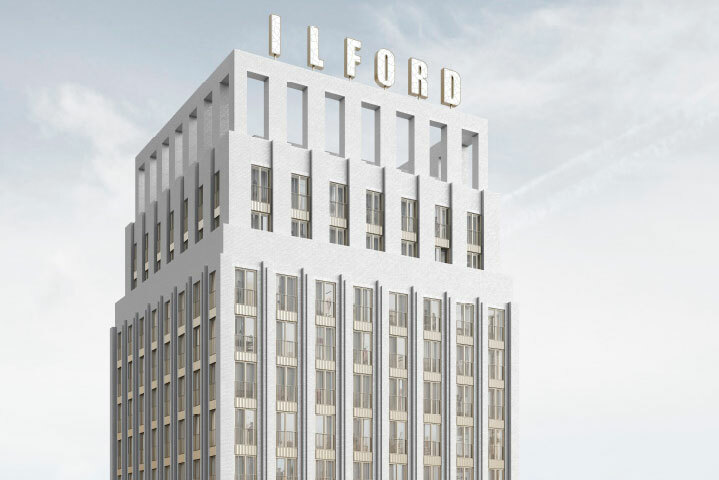 A landmark residential tower, marking the new Chapel Square, is crowned by a distinctive ‘ILFORD’ sign, written in Ilford Limited’s original branding typeface to proudly reference the site’s history and to signal the start of Ilford’s regeneration.